In 1900, car owners were almost by definition wealthy, especially since they often employed chauffeurs: many wouldn’t have dreamed of trying to operate their own vehicles. 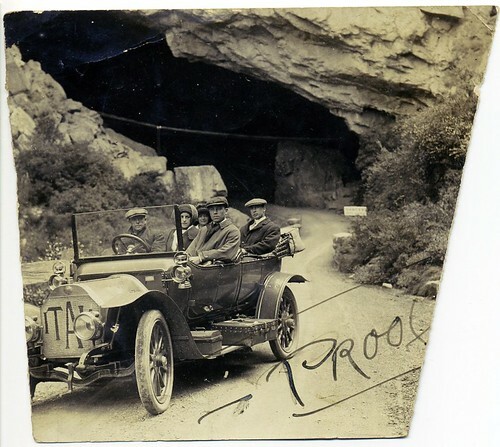 Automobiles became the most visible intrusion of city life into the countryside—noisier, dirtier, and more dangerous variations on the bicycles that had been all the rage a few years before….In rural Europe, cars remained a sign of wealthy urban invaders into the 1930s. Farmers and villagers watched them roar (or splutter) by, get stuck, or run off the road, and they reacted with amusement, contempt, fear, hatred, envy, or perhaps admiration. Also, belching gas and steam cars scared the horses, which inspired one inventor—Uriah Smith of Battle Creek, Michigan—to invent “Horsey Horseless,” a fake horse’s head that could be mounted on the prow of carriage-like early automobiles to calm approaching animals. Laws were passed in a number of places restricting the automobile, both in speed and in operation. As early as 1865, the British Parliament passed the first of the Locomotive Acts—aimed at steam cars. Among other things, it set a 4 mph speed limit (2 mph in town) for road vehicles, insisted that at least three people be on board, and required somebody waving a red flag to walk in front of the car at all times. Meeting an oncoming horse meant a full stop. 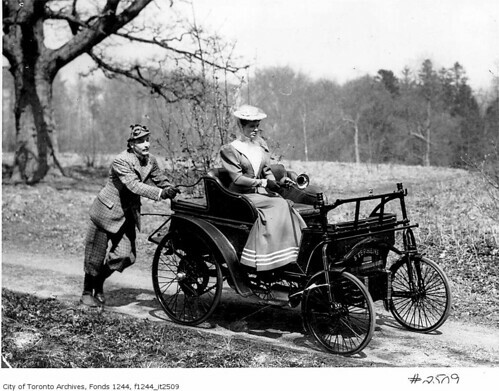 This hapless Canadian man is pushing the car somewhere in Ontario, 1900. The “red flag” laws soon spread to the U.S., with Vermont implementing them in 1894. In Pennsylvania, drivers had to send up a rocket every mile. Some cities actually banned cars. Connecticut passed America’s first speed limit in 1901, holding cars to 12 mph in the city, 15 in the country. The law wasn’t as restrictive as it seems, because cars then couldn’t go much faster. And there were only 4,200 of them on U.S. roads at the time. Although there was almost 40 carmakers in 1901, there were no highway signs, streetlights, traffic lights or indeed any form of licensing. Chaos reigned on the roads. And it got worse as auto populations quickly increased—there were 200,000 cars by 1909, and 2.25 million in 1916. 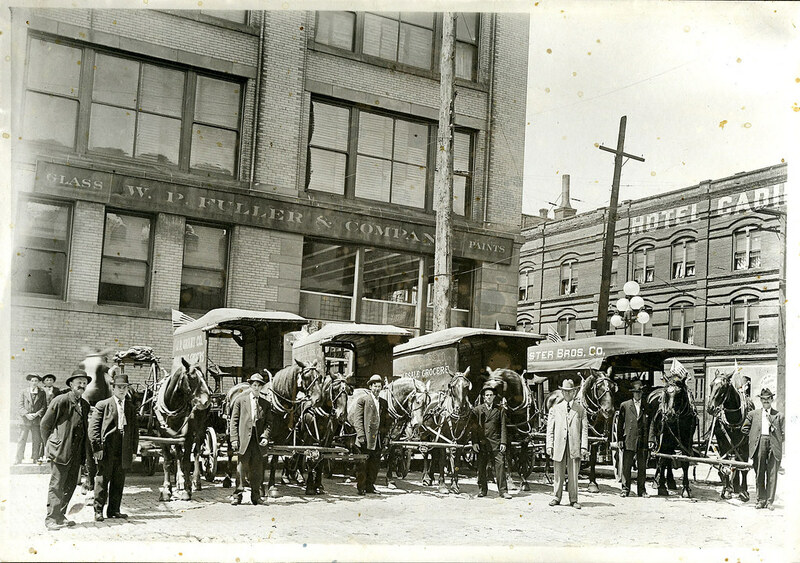 In the summer of 1908, 31 people were killed in Detroit traffic accidents alone. An automobile containing a bridal couple, several wedding guests, three children and many bottles of liquor rounded the corner from Labelle Avenue onto Woodward Sunday evening and turned turtle going at least 40 miles an hour. The other day on one of the North Side boulevards, I heard a toot that seemed right behind me. I jumped about six feet and then looked around. The machine was fully a half-block away, and when it went past, all the occupants grinned as if it were a good joke. These fellows blow their horns just to see the people jump, I believe….The natural tendency of a man operating an automobile is to run it at high speed. A Catholic priest gave sermons about “auto madness.” Fast drivers were derided as “scorchers.” Of such attitudes was born the character of Toad of Toad Hall, the hell-bent-for-leather motorist in a red roadster who terrorizes the populace in The Wind in the Willows (1908). A 1917 story from Harper’s Magazine, “Fate and $1,500,” details a man’s experience when his wife buys an “infernal automobile,” including getting fined for speeding, roaring through the window of a laundry, taking out a fire hydrant, trampling a public park, and in general costing a fortune to maintain. “On the road, an automobile will out-eat a horse 10 times over,” says the poor fellow, who later runs the car off a public pier to save his marriage. And then, of course, there was the sheer ignominy of the cars themselves, which were dangerously under-braked, stiff of steering, and notoriously difficult to start with their crank handles (which could take off an arm or just a few fingers). Tires were notorious for frequent punctures, which is why cars carried several spares, and early unpaved roads (little more than old wagon trails) were so bad that many early cars were of necessity high wheelers. Nothing else could get through the mud. When Horatio Nelson Jackson and Sewall K. Crocker set out to cross the country in their Winton automobile in 1903, they took with them “coats, rubber protective suits, sleeping bags, blankets, canteens, a water bag, an axe, a shovel, a telescope, tools, spare parts, a block and tackle, cans for extra gasoline and oil, a Kodak camera, a rifle, a shotgun, and pistols.” There was also a pitbull named Bud, who got his own set of goggles to block out the dust. 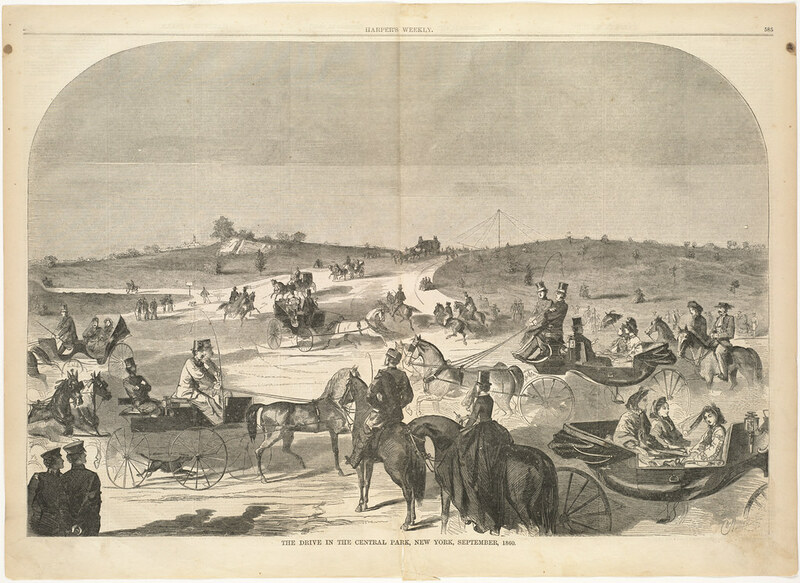 The travelers were hailed as heroes for making the arduous trek. Gas stations didn’t appear in the U.S. until 1905. Hardware stores or blacksmith shops might sell gasoline, if motorists were lucky. Long-distance travel was a huge challenge, and not just because it was hard to find gas. Inter-city traffic meant getting bogged down in farmer’s fields and having the taciturn agriculturalist pull you out with his team—for a fee. The Lincoln Highway, crossing the country, wasn’t dedicated until 1913. Thinking about all this doesn’t mitigate the pain of today’s traffic snarls, but at least we can realize that the good old days weren’t all that good.